Δελτίο τύπου: «“Born To Survive” is a song that is especially dear to the band’s heart and one that stands out in defining the sound of “Shehili” and therefore the elegant fusion of powerful melodies with exceptional lyrics. 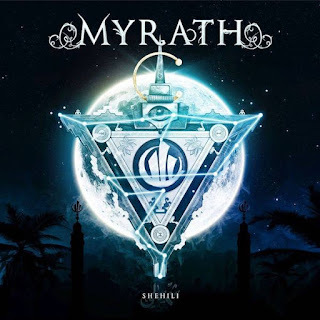 “Born To Survive”, a song that captivates through its heavy rhythm and Andalusian influences, is prove that Myrath’s interesting take on foreign sounds never compromises the band’s true heavy metal fashion. This combination, referred to as “Blazing Desert Metal” is what makes Myrath worth a listen - that and their undoubtable talent for creating mysticism and wonder. The release of the powerful “Born To Survive” is accompanied by the release of a performance video of the same song. The video was taken from the striking live performance in the legendary Carthage amphitheatre, a magical venue in Myrath's home of Tunisia, where the band played in front of 7000 enthusiastic fans, making it one of the most impactful moments in Myrath’s career so far.